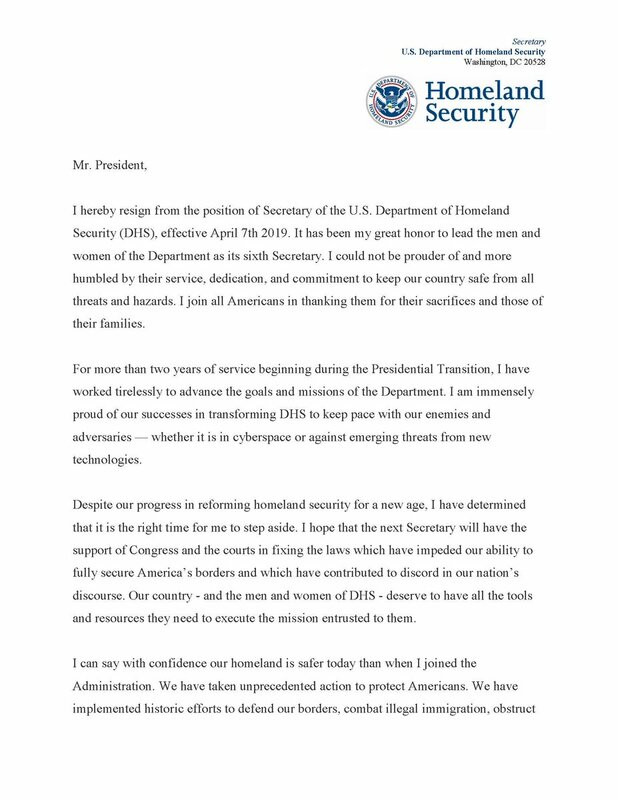 WASHINGTON -- Homeland Security Secretary Kirstjen Nielsen resigned on Sunday amid the administration's growing frustration and bitterness over the number of Central American families crossing the southern border, two people familiar with the decision said. Nielsen advocated for strong cybersecurity defense and often said she believed the next major terror attack would occur online — not by planes or bombs. She was tasked with helping states secure elections following Russian interference during the 2016 election. This article was written by Colleen Long and Zeke Miller from The Associated Press and was legally licensed through the NewsCred publisher network. Please direct all licensing questions to legal@newscred.com.